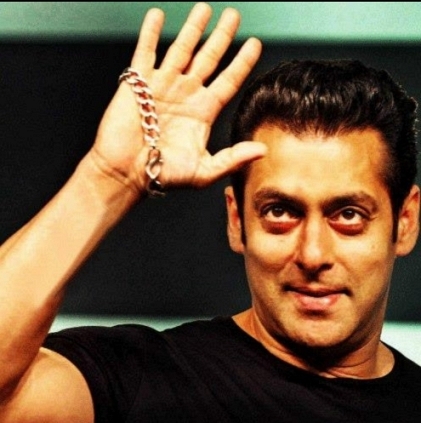 SALMAN KHAN TO ACT IN THE SEQUEL OF A TAMIL MOVIE? Naan Ee is the Tamil version of the Telugu film Eega, a fantasy genre, written and directed by SS Rajamouli. The film which had Nani, Sudeep and Samantha as part of its main cast received critical acclaim both in Tamil and Telugu. Now, Vijayendra Prasad, writer and father of SS Rajamouli has stated that he has plans to make a sequel to Naan Ee. He revealed this when he was talking to students of BOFTA, a film school based in Chennai. What makes it more special is that he has also stated that Bollywood biggie Salman Khan has expressed his interest to play the lead in this sequel. It must be noted that it was Vijayendra Prasad who penned the script for Salman’s Bajrangi Bhaijaan which was a box office hit. Thus there is no doubt that expectation for this sequel will be monstrous if it materializes. Salman Khan's Prem Ratan Dhan Payo Collects 250 Crores Gross Worldwide In Just 4 Days. People looking for online information on Naan Ee sequel, Salman Khan will find this news story useful.